As we are now well into the new year and, in spite of the weather conditions telling us otherwise, the sailing season is fast approaching. 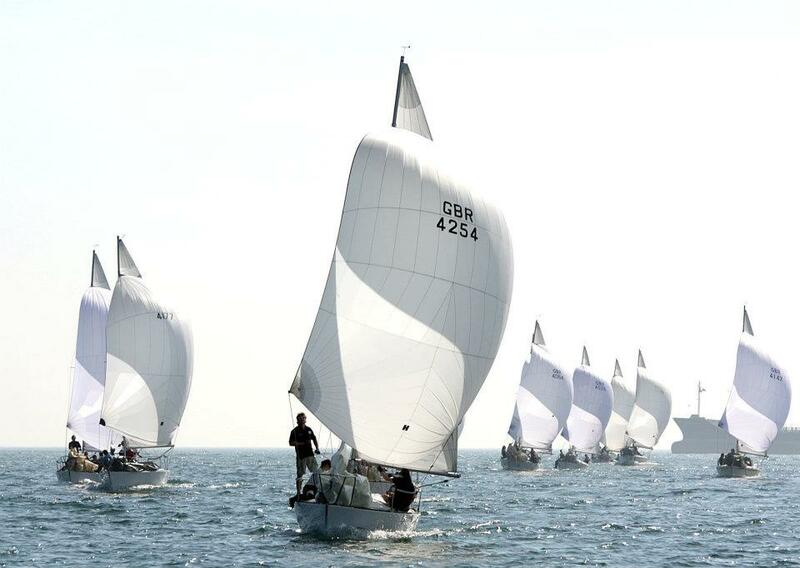 Also in the news section of the class website you’ll find the latest edition of Pulse – the International J/24 Class magazine – with reports from J/24 events around the globe, worth a read to keep up to speed with developments in the class and upcoming events outside of UK waters. As for the UK J/24 circuit we should be shortly posting final details for the Fowey Trophy to be held at the end of April – I’ll keep you posted – and you can already get your entries in for our National Championships to be held at Parkstone YC over the bank holiday weekends – http://pooleregatta.co.uk/ – there are already a number of J/70’s and J/80’s on the entry list so we need to make sure we sign up to show how competitive and fun the J/24 class remains. Please remember that if you want a chance to taking part in the 2015 World Championships in Germany you’ll need to qualify through the class events. If you know anyone looking to get involved in the J/24 scene teams are always looking for crew to help make up the numbers so please point them towards the class website or local clubs and if anyone is interested in getting hold of a boat / upgrading theirs we have a number of people looking and some great boats for sale – if you need more info please give me a shout. Finally I am sorry to say that due to the committments of a young family and hectic work schedule / overseas travel I have decided to put JuJu up for sale and take some time away from running my own boat. Though I still hope to be able to join in with class racing on other boats as and when available / needed I don’t feel a part time involvement is enough to remain in the role of UK Class Secretary so I will be stepping down at this years AGM / Nationals. If anyone would be interested (or you would like to nominate someone) please let me or the other committee members know, it is a great role to be involved with and certainly doesn’t require much skill (as I have demonstrated) – if you can use the most basic computer functions you can do anything I have (and I’m sure much more beyond). Until we do sell JuJu we are intending on continuing to join in as and where possible and are very much looking forward to getting back on the water. I hope that you have all had a good winter, despite the weather, and your nearby waters are remaining (mostly) where the should be.